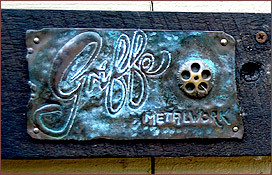 Griffe Griffiths was born and schooled in the UK, living in the northwest part of England close to the lake district. He attended schools where the emphasis was on art and nature and he spent a lot of time outdoors. You can see the influence of nature in his artwork. Griffe has a very strong affinity for Celtic design and art - no wonder as his father was Welsh hence the name Griffiths, and his mothers side of the family was Irish. 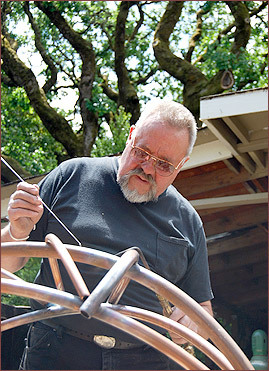 Griffe is a member of the Baulines Craft Guild and teaches metalwork from his studio in Woodacre, CA. 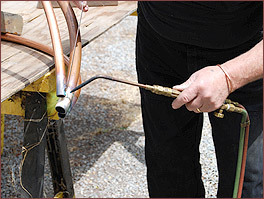 He is also involved through the guild of introducing high school students to the art of metalwork.